We are a fully licensed, bonded and insured plumbing and gas contractor. We carry a Class C gas license for installing and servicing propane gas lines. We incorporated our business and officially opened its doors full-time on January 1, 2004. Owner, Todd McGuire, began plumbing in1989 and he and our employees are well liked and well respected among our Builders, Home Owners, Inspectors and other tradesmen in our industry. We specialize in residential new construction, remodeling and repair; small scale commercial work - strip malls; small office buildings; restaurants; salons and spas. 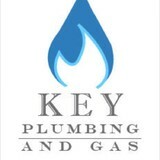 Key Plumbing has been in business since 1986 and offers complete residential and commercial plumbing and gas. We are locally owned and operated by Buddy Key, your master plumber, gas certified, master gas fitter, and Alagasco preferred gas installer. 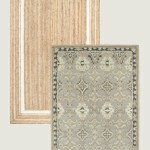 licensed and insured with over 26 years of experience. 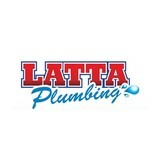 Latta Plumbing Service know that the plumbing system in your home is incredibly important. Whenever you are experiencing a plumbing issue, we will do everything to complete the repairs as quickly and efficiently as possible. Since 1981, we have provided quality plumbing services in Gardendale AL and the surrounding areas for both commercial and residential clients. What started as a one-truck, one-room office operation, has now grown into one of the largest plumbing companies in Gardendale with over 50 employees and 24 trucks. Water Systems of Alabama (formally Culligan) has over 18 years of experience in commercial and residential water softeners. 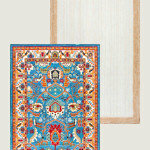 They also supply drinking water solutions, well water filter systems, water coolers, and bottled water. Their commercial and Industrial division supplies equipment for deionization, water softening, reverse osmosis, or chemical treatment. Our company's customers are not considered customers... but friends. 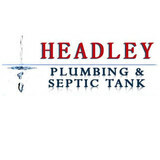 Since 1976, Headley Plumbing has been providing excellent service to residential and commercial customers throughout the Montgomery, Prattville, Millbrook, Clanton, and Wetumpka areas. 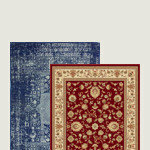 We genuinely care about your needs and are prepared to meet them. Our business is our livelihood but it is also so much more. Jack's Sewer & Plumbing Services was started to fill in a void in the current market and to make a business that the people of Birmingham and surrounding areas can place their trust in. Over the years we have never lost our commitment to our clients and that is what has allowed us to succeed in a very competitive industry. We stand committed to our purpose as we stand committed to the people of Birmingham and surrounding areas. Our business is our livelihood but it is also so much more. Concord Plumbing was started to fill in a void in the current market and to make a business that people can place their trust in. Over the years we have never lost our commitment to our clients and that is what has allowed us to succeed in a very competitive industry. The employees of Concord Plumbing stand committed to our purpose and will provide the best service! Kreekside is known for fine workmanship and professional service in the design, installation, and maintenance of residential and commercial lanscaping, hardscapes, and spring and fall cleanup. We invite you to browse our services, project portfolio, and testimonials for more information on what our company can offer to the process of bringing your conceptualized project to a reality. Also feel free to contact us or visit our offices to meet our staff and receive a consultation. We look forward to a professional working relationship and are confident we can deliver the highest quality results within your budget. Many technological advancements in the sewage treatment industry have been made since Sewage Equipment Sales & Service was first started and we have continued to grow with the industry. State and local health departments have implemented more stringent sewage discharge & monitoring requirements every year, especially around our lakes and rivers. 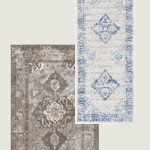 We believe the systems we sell are the absolute best of their kind available. Here at Gamble Plumbing Co. we offer service repairs, installations, water quality treatments, water heaters, and handicap plumbing needs. Our team always does a thorough examination of the problem and will spend time helping you understand the problem and the proper procedure to repair it right and meet your expectations. We will give you pricing with options available to help save you money before any work begins so you know exactly what it costs and what is going to be done. Combining years of experience with a dedication to client satisfaction, Dailey Plumbing & Remodeling LLC has established itself as the local leader in Residential Plumber, Commercial Plumber and Residential Remodeling. When it comes to Residential Plumber, Commercial Plumber and Residential Remodeling, no one compares to Dailey Plumbing & Remodeling LLC. With years of combined experience, Dailey Plumbing & Remodeling LLC has worked hard to build the trust of our clients in Bessemer, Birmingham, Center Point, and beyond. Visit our website to learn more. Or better yet, click the link and call us today! Servicing in the Birmingham area. T-N-T Plumbing and Home Improvment is located inn Birmingham, AL. We specialize in complete line of plumbing, new construction and remodeling, and complete line of home remodeling. A plumbing contractor handles the installation and repair of water, sewage and natural gas pipes throughout a home, as well as interior and exterior faucets and fixtures. Plumbing contractors are also trained to work with water mains, septic tanks, laundry appliances, water heaters, sump pumps and other plumbing and pipe systems. Because plumbing repair work is done largely behind walls and beneath floors, some plumbing companies can also patch or replace tile, stonework and other surfaces. Although some Shelby plumbers are generalists, others specialize in specific areas; a 24 hour emergency plumber will handle urgent residential repairs, while others may be more skilled in remodeling, natural gas lines, overhead sprinkler systems and more. Find a local Shelby plumber on Houzz. Narrow your search in the Professionals section of the website to plumbing contractors in Shelby, AL. You may also look through photos of Shelby, AL projects to find a licensed plumber who has worked on a project similar to yours. Here are some related professionals and vendors to complement the work of plumbers: General Contractors, Septic Tanks & Systems, Kitchen & Bath Designers, Kitchen & Bath Remodelers.